I have to admit that I wasn't head over heels for Beirut's debut, Gulag Orkestar, and in turn, I didn't mention it here, and I'm fine with that. On the other hand there were a few outstanding tracks on the lp, which made me wonder why not an extended ep or something. 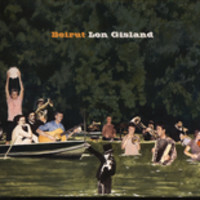 Well I just downloaded Beirut's Lon Gisland EP from emusic over the holidays and I was blown away. Elephant Gun and the re-tooled Scenic World (Version) are far superior to anything on the lp and if I did some Best of 2006 singles, then this might have just creeped in. Below is Elephant Gun, one of my favorite tracks from Gulag Orkestar, and a link to download...Do I know you or what.